LUVMI Successfully Tested & Deployed Outdoor! In the week of December 17th 2018, LUVMI was successfully deployed and tested for the first time in outdoor analogue locations, in the vicinity of ESA/ESTEC in the Netherlands. 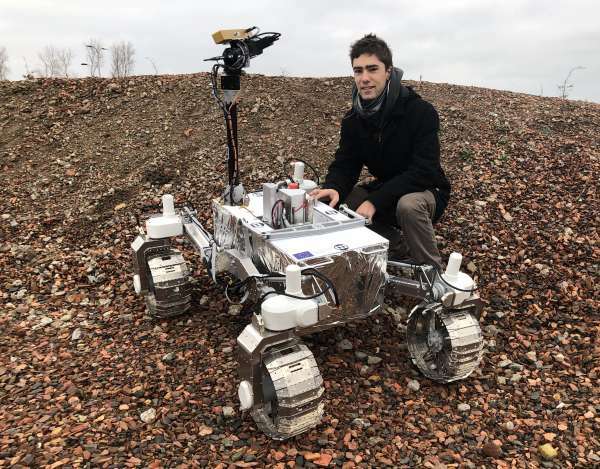 The trials were performed partly at the DECOS marsyard, focusing on locomotion and mobility capabilities and partly on sand dunes, to complement mobility tests and to experiment the end-to-end operational concept. 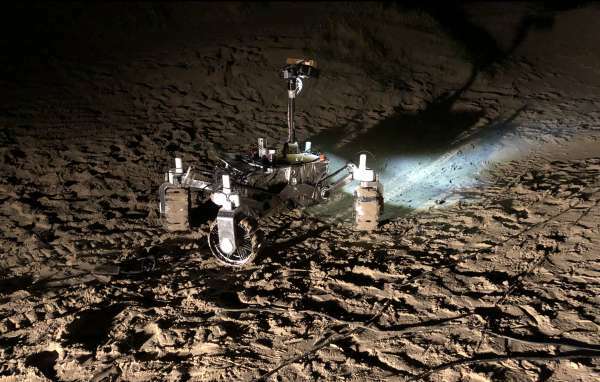 The LUVMI rover was driven over 50 meters on uneven sandy terrain, performing drilling operations with a Volatile Sampler instrument, and coming back to its starting point. 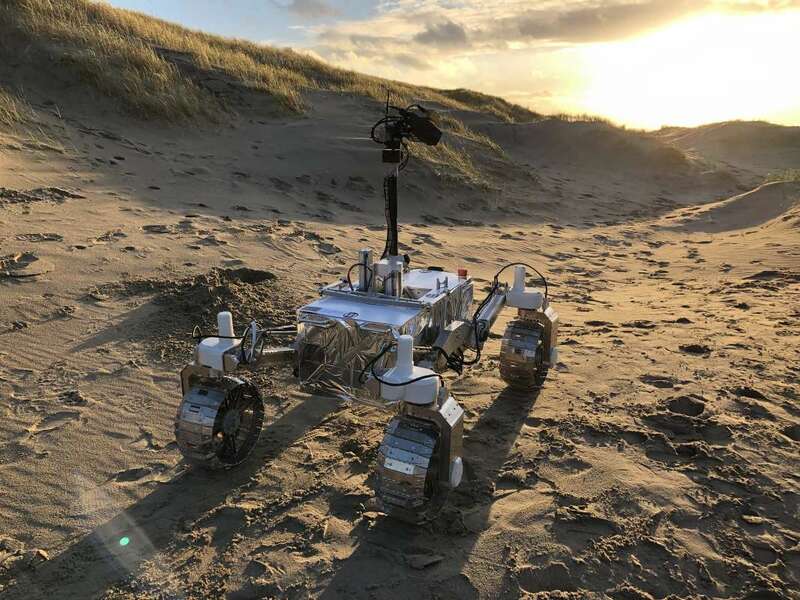 Part of the operations were purposely carried out after the sunset, to get more realistic lighting conditions – on the moon, a LUVMI rover would have to operate in permanently shadowed regions. The LUVMI project will come to completion by the end of January 2019, but the results will be leveraged in a new project called LUVMI-X which aims to extend LUVMI with capability to carry and deliver a range of fixed and deployable payload elements – inspiring from Space Applications’ ICE Cubes commercial service. The objective is to develop an affordable commercial solution for scientists and other customers to flexibly deliver payloads to the surface of the moon, by 2025. LUVMI-X will be kicked-off in February 2019.